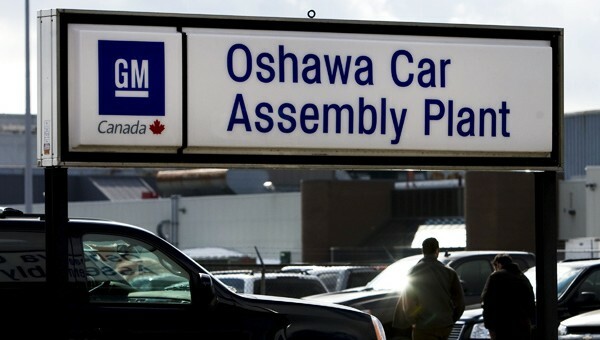 While the fate of the Oshawa, Ontario plant remains up in the air, as Chevrolet Impala production ends this June, workers received some good news from General Motors. The automaker is preparing to boost production of the 2016 Chevrolet Equinox, which continues to sell at alarming rates. Canadian Manufacturing reports the boost will save 200 jobs at the plant as vehicles continue to be diverted out of Canada, including the Chevrolet Camaro. Production on the plant’s consolidated line, which produces the Impala and Equinox currently, is set to run until at least 2017. GM invested $12 million last year to continue Equinox production. The Oshawa plant currently produces 288 Equinox per day, and the boost is set to increase that number to 352 Equinox a day. My 1995 Buick Regal was built at Osawa in October 1994, and I sold it after 21 years of great service. My present 2009 Chevy Equinox was built at Ingersoll in November 2008, and is doing great, too. These Canadian workers are spectual and doing better than other assembly workers. Great to hear. With all the quality awards we have won it’s too bad our future is always in doubt. My 2015 Equinox was built at Oshawa and purchased new last year. It must have been built during an off time. There are way too many interior squeaks and rattles for a vehicle that currently has only 12,500 miles on it. Other than that it has been fine.